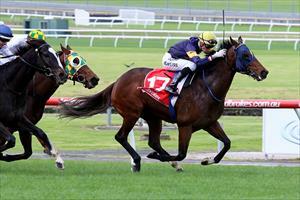 Lord Barrington is our only runner today when he heads to Caulfield to run in the Pegasus Leisure Group Handicap. Stephanie Thornton’s claim reduces Lord Barrington to carry 56.5kg, just half a kilo above the minimum in the 1100m Benchmark 78 sprint. Lord Barrington finished runner-up over 1140m at Geelong on July 14 and Mike Moroney is not too concerned at being one month between runs. “He’s had a little bit of time between runs which won’t harm him I think,” Moroney said. “He worked well on Tuesday and he looks terrific. The more rain we can get the better it will be for him.